On 8 January, the Wide Field Camera 3 aboard the Hubble Space Telescope, responsible for many of the observatory’s most iconic photos, suspended operations because of an unspecified hardware issue. 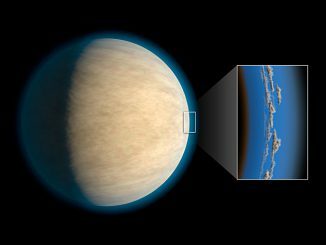 In a one-paragraph release, NASA said the observatory is continuing science operations with its other three active instruments – the Cosmic Origins Spectrograph, the Advanced Camera for Surveys and the Space Telescope Imaging Spectrograph – while engineers troubleshoot the WFC 3 anomaly. Installed during the fifth and final space shuttle servicing mission in 2009, the Wide Field Camera 3 features redundant electronics that presumably could restore the instrument to normal operation if the problem cannot be resolved. But the issue is a reminder that Hubble, nearing its third decade in space and now nine years beyond its final service call, is increasingly susceptible to the challenges of old age. 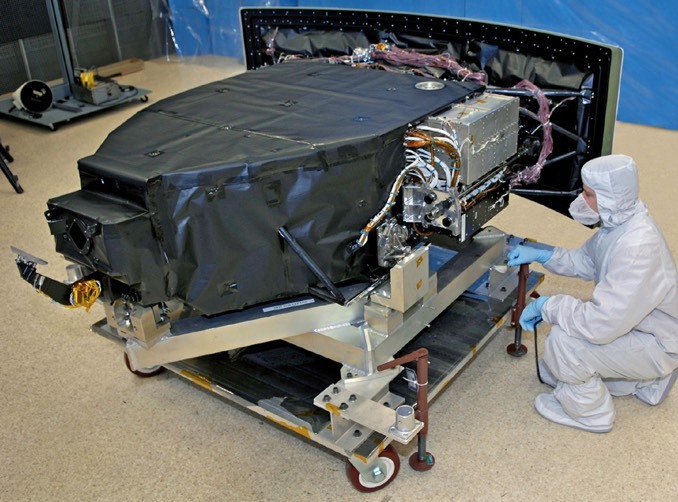 Last October, one of Hubble’s three operational gyroscopes, used to help the telescope re-orient itself and lock on targets, failed. A backup was put into service, but it also ran into problems, briefly knocking the observatory out of action. Engineers later restored the backup to normal operation. Located in the rich Virgo cluster, a collection of more than 1,300 galaxies, NGC 4388 is classified as a spiral, but gravitational interactions with other members of the cluster are giving it a “confused” identity with features similar to those found in elliptical galaxies. 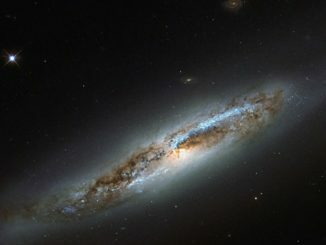 A large Hubble survey confirms an unambiguous link between the presence of supermassive black holes that power high-speed, radio-signal-emitting jets and the merger history of their host galaxies. 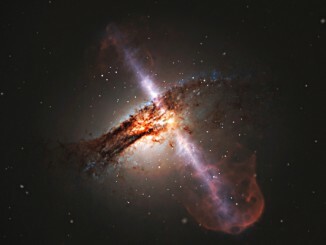 The results lend significant weight to the case for jets being the result of merging black holes.